Halfway through the race Megan Guarnier (BoelsDolmans) escaped the peloton. A few km later Miriam bridged up together with three riders. Unfortunately, the group did not cooperate well and the peloton reeled them back in. With 21km to go Claudia Lichtenberg (Lotto Soudal) attacked with Simona on her wheel, the duo worked well together and quickly gained an advantage. In the peloton our girls stayed close to the front as other teams worked to control the gap. On the last lap the peloton decided to bring the duo back and with three km to go it was all about the sprint. A crash in the peloton stirred things up a bit, but Tatiana and Emilie managed to stay out of trouble. Tatiana worked hard to bring Emilie close to the front. In the final fight for position Emilie found herself on the outside trying to advance. The effort took some of the energy out of her legs, but she still managed to finish to a strong 10th while Tatiana crossed the line in 16th place. A strong effort from the team in Madrid. 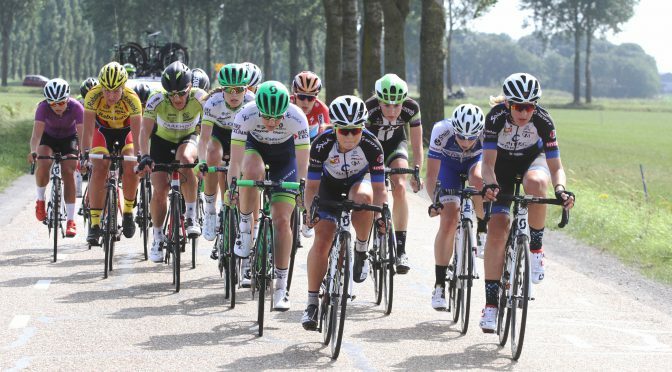 Jolien D’hoore (WiggleHigh5) won ahead of her teammate Chloe Hosking and Marta Bastianelli (AleCipollini).